Mobile Learning - Making the Most of it! Microlearning is a perfect fit for the way we use our mobile devices. Today’s learners want to be able to access their learning and support materials at convenient times and in surroundings of their choice. Apps are the easiest way to provide this service. While there may still be a requirement for more formal learning in the work environment for some specialist skills, mobile learning has become the accepted solution for most learning requirements and its popularity is increasing all the time. 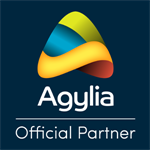 Agylia extends presence in the US as it welcomes Compliance Training Solutions to the Agylia Partner Program. Agylia and Compliance Training Solutions will work together to support organizations in the United States to overcome today’s legal and regulatory compliance training requirements. Ready to Upgrade Your Training?